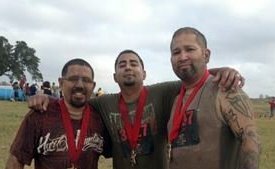 On Saturday, December 8th Michael Martinez (Salado Springs Maintenance Manager), Michael Garcia (French Place Maintenance Manager) and Sammy Rogue (Signature Ridge Make Ready) all participated in the Gladiator Rock’n Run in San Antonio. It was a 6K race with 17 obstacles including a mud pit, 30 feet of monkey bars, pitch black trenches, an icy waist deep polar plunge, a 14 foot rope climb, a fire jump, and much more! 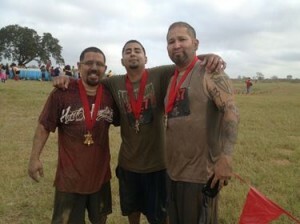 The action packed race benefited a great cause, Talk about Curing Autism (TACA).